For the second consecutive year, the Msgr. McClancy H.S., East Elmhurst, varsity baseball team finished third overall in the CHSAA ‘AA’ intersectional championships. The Crusaders were 12-6 during the regular season, which placed them second among diocesan teams. 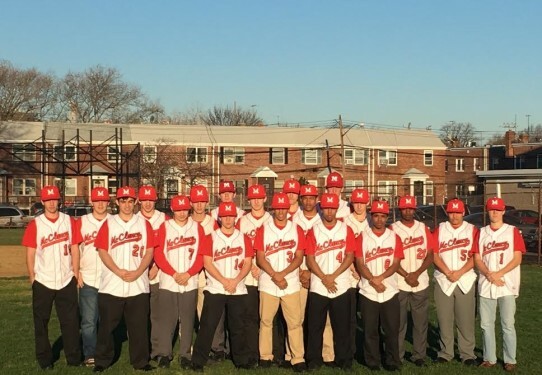 After dropping a 2-1 game in extra innings to Fordham Prep, the Bronx, in the opening round of the playoffs, McClancy proceeded to win three straight elimination nail-biters, including a 12-inning 2-1 thriller over Xaverian H.S., Bay Ridge. The team then lost to Msgr. Farrell H.S., Staten Island, which ended the memorable post-season run.